After the eruption of 79 A.D., that buried the entire city, about other seventy have followed, up to the last one of 1944. The look of the mountain changed during the big eruption; by the mountain Somma, breaking itself, born the mountain Vesuvius, that with the following eruptions triplicated the greatness of its crater. For centuries nothing was known about Pompeii, neither the location. For the first signs of the recoveries that would have came, we had to wait the 1628: during some works in the valley of Sarno emerged different ruins that roused scientists’ interest. But only a century after began in Herculaneum, and about ten years later in Pompeii, the regular excavations with the order of Charles III Borbone, king of the Two Sicilies. In Pompeii works began around 1748, in the zone of the Civita, that was considered Stabia, the other city buried during the eruption, alternating with breaks due to other recoveries in Herculaneum, and continuing without a determined project and without a precise method, effected from slaves and from teen-agers. The documentation was limited to the graphic reproduction of the dug objects, without some interest for the data of excavation. The research aimed only at the finding of material for museums or at the decoration of real palaces, while the dug up buildings, once despoiled of the masterpieces, were left without any care. At the outbreak of the revolution in France, also began in Naples the first revolutionary motions and the activity of the excavations decreased sensitively and only with Giuseppe Bonaparte first and Gioacchino Murat after, took back with great emphasis and with a great employment of manpower. It has been tried to individualise the perimeter of the whole city to know its extension, and the interest moved from the mere recovery of precious objects to the knowledge of the architecture and the urbanism. With the birth of the Kingdom of Italy, in 1861, the Savoia immediately showed not to underestimate the prestige coming from the Pompeian recoveries. With the order of the new king begun systematic excavations: Giuseppe Fiorelli, teacher of archaeology at the university of Naples from 1860 at 1863, was named at the direction, therefore general manager of the Antiquities and Fine Arts of the Kingdom of Italy; he divided the city in regions and islands numbering all the houses and this system is in use still today. 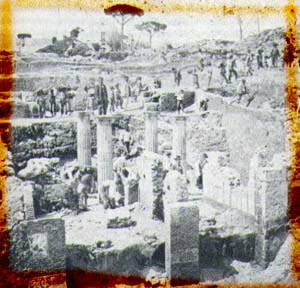 Fiorelli adopted a scientific method, with diary of excavation, surveys, catalogues of the objects, and he employed over five hundred workers in the job. 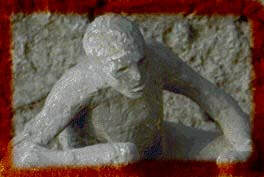 Belongs to him the invention of the method of pouring plaster of Paris into the spaces left by the victims, obtaining some casts of the bodies, caught in the same moment of death, a dramatic example of the tragedy which hit Pompeii and its people. Even the system of taking away all the objects from the area of excavation was abandoned: the paintings and the mosaics were left on their place; the dug houses were covered with roofs that reproduced the ancient disposition and constituted a shelter against the inclemency of the weather. The years that followed were the best: the researches widen toward east and toward Nola Gate, numerous houses come to light, the structures are consolidated and the paintings are restored on the place. From 1924 at 1961 the management of the researches is entrusted to Amedeo Maiuri to whose figure is tied the historical study of the city; he, first, wants to know the previous phases of the city, deepening the exploration of the most ancient layers in the most lively zones, as the Forum, the temples, the boundaries. In recent years, the main objective has been that to implement an organic system of consolidation and restoration works in the archaeological site on the basis of a “planned conservation” methodology, aimed at stopping the effects of deterioration on the buildings and on their architectural and decorative apparatus and recovering them; containing the hydro-geological threat; and improving the general safety and making the site more accessible. Pompeii is the largest archaeological site in the world; its 66 hectares, of which 45 have been excavated and 33 are open to the public, include all of the ancient city. The archaeological area is a city divided into 9 regiones (districts), subdivided into 112 insulae (blocks) and 1500 domus (houses) and it possesses a rich and varied artistic heritage consisting of mosaics, decorated surfaces and decorative architectural elements that are all important components of the Pompeian identity and which attracts millions of visitors each year. 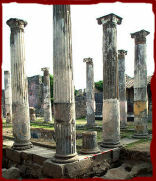 Pompeii has been a Unesco site since 1996.